Annabelle's haunting earlier than you think in the Philippines. 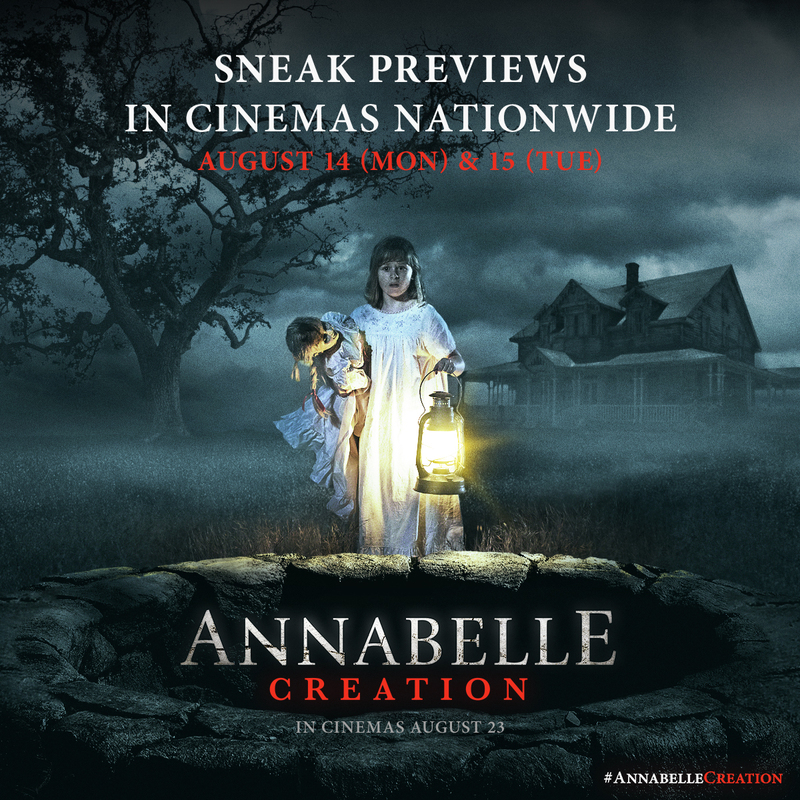 One of the most anticipated horror films this year, New Line Cinema's "Annabelle: Creation", will hold whole-day sneak previews in most cinemas nationwide today and tomorrow, August 14 & 15. The screenings are being held ahead of the film's grand opening on August 23. Tickets will be regular admission prices. In "Annabelle: Creation", several years after the tragic death of their little girl, a doll maker and his wife welcome a nun and six girls from a shuttered orphanage into their home. They soon become the target of the doll maker’s possessed creation, Annabelle. The film stars Stephanie Sigman, Talitha Bateman, Lulu Wilson, Philippa Coulthard, Grace Fulton, Lou Lou Safran, Samara Lee, Tayler Buck, Anthony LaPaglia and Miranda Otto. "Annabelle: Creation" is distributed by Warner Bros. Pictures, a Warner Bros. Entertainment Company.